Hey, y’all!! It’s Friday, and we are hosting Friday Favorites with my girls, Erika and Andrea!! Woohoo! My tunic and darling camel jacket came! I showed you the tunic last week, but here they are together! You can find the tunic here and the jacket here! So cute! These two were looking extra grownup this week! Presley asked me to straighten the ends of her pigtails, and I forget how much older she looks when we do that! Speaking of looking older, this little bit of sunshine popped up in my FB memories. Oh goodness gracious! And, y’all! They are so good! I sent them to school with salsa, and we even used them with our chili this week! Delicious and healthier than the alternative! I’ll take it! I’m pretty sure you could hide liver in a tortilla chip and I’d still be a fan. :). And you’re new coat is darling! Presley and Luke…oh how cute they are! I lol’d at Erika’s comment. Ha! That coat is gorgeous! And your kiddos are so cute together. 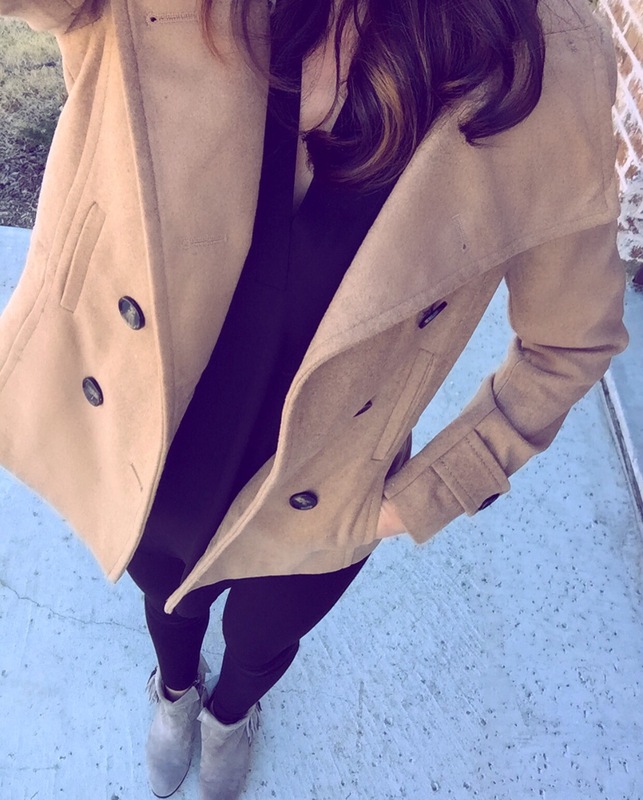 Love the coat! What size did you get? Kids lunches are always hard to make different, healthy and interesting…especially, when you have a girl who doesn’t like sandwiches and gets tired of the same thing very quickly. I will look for those chips. I’m going to have to give those chips a try! I’m stuck on the baked blue corn tortilla chips right now. They’re so good and much better than the alternative.